Normal Grief Reactions – Tuesday, March 4, 5:30 – 7:30 p.m.
How People Grieve – Tuesday, March 11, 5:30 – 7:30 p.m.
What I Need From These Seminars – Tuesday, March 18, 5:30 – 7:30 p.m.
Recovery is Possible! – Tuesday, March 25, 5:30 – 7:30 p.m.
Understanding Death – Tuesday, April 1, 5:30 – 7:30 p.m.
Owen Tucker, M. Div., M. 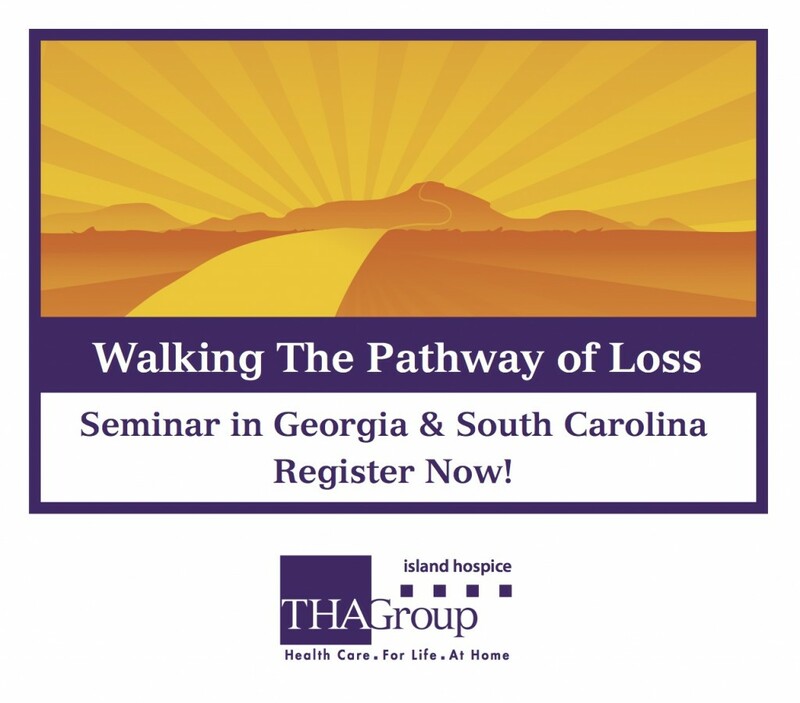 Ed., D. Min, is the Bereavement Coordinator for THA Group’s Island Hospice. He has also been a licensed counselor specializing in families and children, a nationally certified trauma specialist, and a clinical faculty member in Baylor University’s Doctor of Psychology program. Stephanie May is the Bereavement Programs Coordinator for the Diocese of Savannah. She holds a B.S. in Psychology and a Master’s degree in Pastoral Studies.